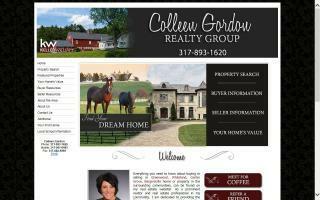 Real Estate and Horse Property Directory - Page 4 - O Horse! 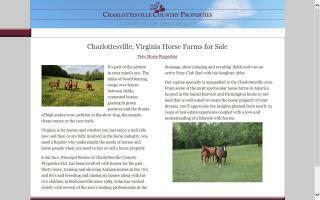 Charlottesville and central Virginia real estate broker for horse farms and other equestrian properties. 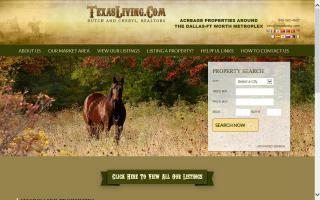 North Texas country properties, and Dallas/Fort Worth country properties; Texas real estate listings, home buying, selling and relocation information. Homes in Hollister and San Benito County, California to buy and sell. Cheryl Calhoun helping you to find and buy, or sell the home of your dreams. Experienced real estate agent helping sellers & buyers with properties on the beautiful California Central Coast serving all of San Luis Obispo County. At Cindy Stys Equestrian & Country Properties, Ltd., our focus is on horse properties and real estate suitable for having horses or livestock in Eastern PA. We strive to get our sellers the highest price possible for their property and provide unparalleled customer service. Coldwell Banker Guimond Realty specializes in Tiverton RI real estate and Little Compton Rhode Island real estate. Guimond Realty can assist you in buying a home or selling a house in the Tiverton, Little Compton, and surrounding areas. I am an agent who has been an equestrian for over 20 years. I have shown and bred horses and know what it takes to have the perfect property for your animals. I am aware of most of the equestrian properties in our area. If I have not seen it, I will preview it for you in advance to make sure it is perfect. 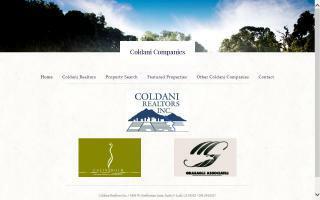 Find farm and ranch real estate agents in Colorado. Each listing includes contact information and a website link.